Finials add the finsihing touch to any hinge. 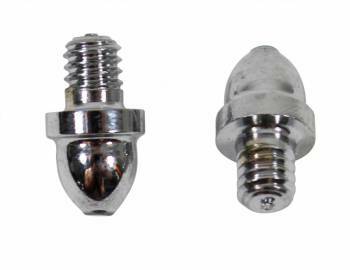 This pair of finials fits our medium size hinges, 3 in. x 3 in. You will need one pair of finials for each hinge. Select from a variety of finial styles. 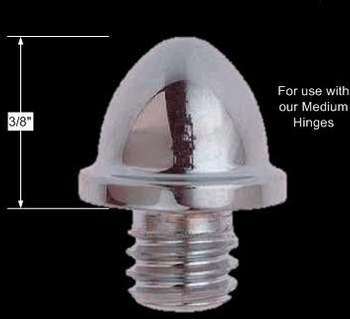 Our finials are easy to replace, as they screw in and out. The overall length is 1-1/8 in., the tip only is 7/8 in. and the approximate length of the threaded part is 5/16 in. The shank diameter is .205 in. to .210 in.